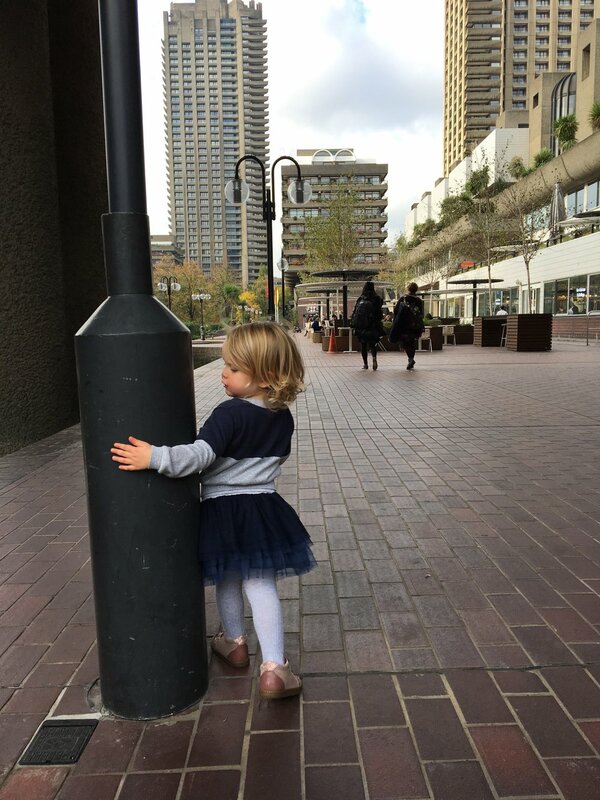 brutalism study #2: stepping into The Barbican feels like stepping onto the set of a slick 1970s dystopian film. I’m wearing an amber coloured jumpsuit with cowl neck and flares and a pair of chunky platforms, drinking something with an umbrella in it and channelling Jane Fonda circa Klute. Except I’m not, I’m in standard Mum uniform aka jeans and a jumper and I’m running after my toddler who is dangerously close to the infinity edge of the lake that runs through the residential block - complete with reeds and ducks! What could be more appropriate - this architecture - to rise from the ashes and rubble of World War II and create the totalitarian landscape upon which the cold war played out. Criticised for its bleak and depressing fortresses, there is still something honest about it: the repetition of lines, shapes, curves and angles, can actually be, pleasing. The term originates from the French word for ‘raw’ as Le Corbusier described his choice of material ‘beton brut’, raw concrete. 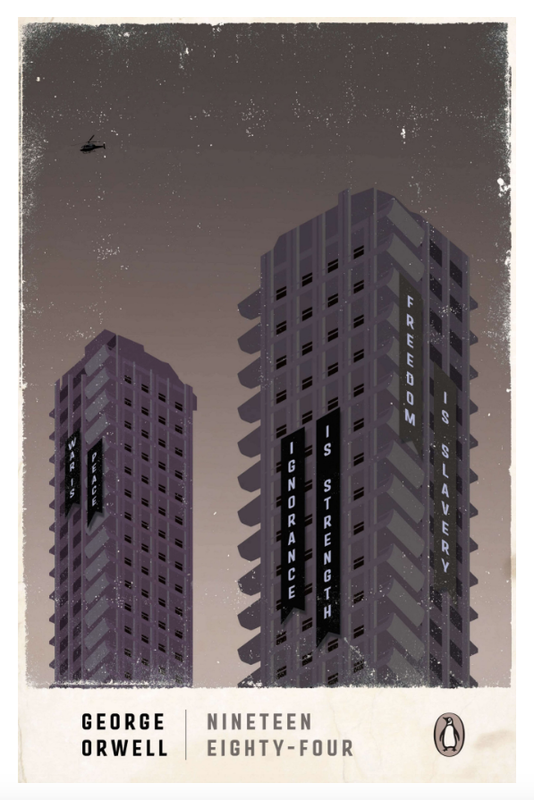 So fitting that the Barbican was used as a limited edition cover for George Orwell’s 1984. But I have yet to read any fiction that has actually been set there. Suggestions please?